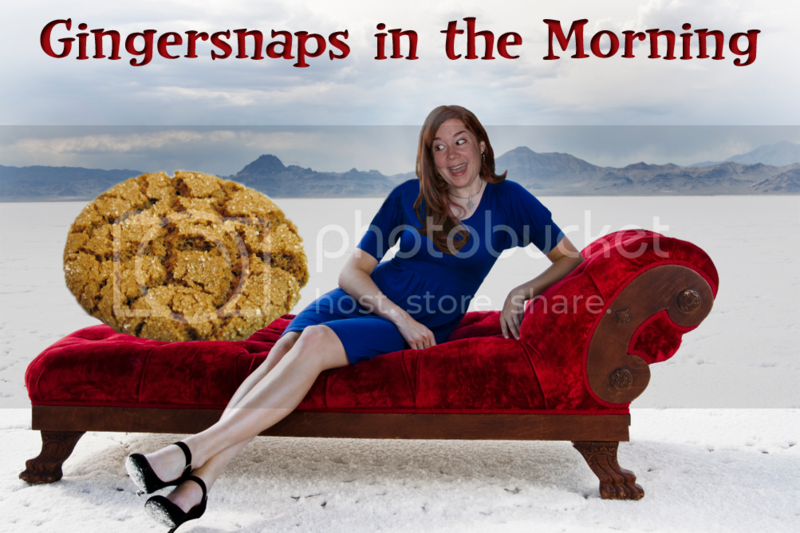 Gingersnaps In The Morning: Wanted: Handcrafted Mediocre Gifts. 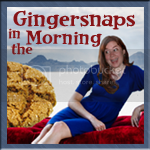 Monkeying Monday to you all, my gingersnaps. How was your Thanksgiving holiday? Our side dishes-only T'day was a success. Any fun stories for me today about your weekend? Who has their xmas decorations up already? *raises hands* Those of you without your hands in the air... what are you waiting for?! Go put those decorations up right now. I'll wait. The weather in Agenda, Wisconsin is a rainy 35 degrees today. First of all... without any agenda, I'd like to say that 35 degree rain has got to be one of the worst weather conditions possible. Not quite cold enough for snow, but cold enough to freeze the brass balls off a monkey. Can you really trust anyone that's from Agenda? Can you be from Agenda and not have an agenda? If you've got an agenda this morning, I'm afraid it will have to wait a while as traffic on the 405 is bumper to bumper and your commute promises to be long and boring. Probably just like a 35 degree rain storm. Only warmer. Especially if you have heated seats in your car. In the news, a woman has claimed ownership of the sun legally (according to her and her lawyer) and she intends to start charging people to use it. I can't make this stuff up people. She can't believe no one thought of that before. Anyway, she intends to give 50% to her government and 20% to the government's pension plan; give 10% for research, 10% for ending world hunger and keep 10% for herself. Unfortunately, she has yet to find a way to enforce the sun usage charge. Since I'm slightly less sun tolerant than a vampire, I'd expect my sun usage bill to be quite low. So who is planning on seeing Little Red Twilight Hood? Ok, ok, it's actually called "Red Riding Hood" but it's directed by Catherine Hardwicke, the director of Twilight and well... let's just say she seems to be drawing from the same well with this preview. Of course I'm still going to see it. It's got Gary Oldman in it! Check it out. 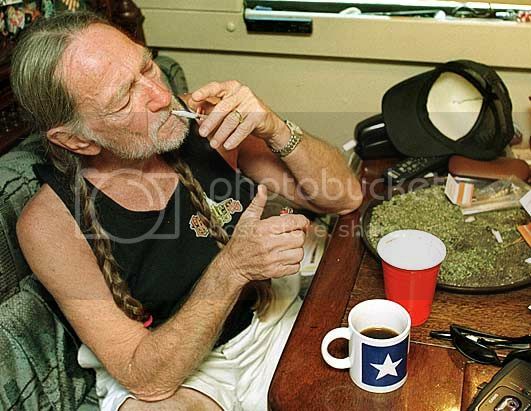 And Willie Nelson got busted for pot possession on his tour bus in Texas. Seriously?! It's Willie Nelson! Doesn't he get a lifetime pass for pot or something? Doesn't he have a doctor who can deem it medically necessary for him? So he spent a little time in the pokey and posted bail. I somehow don't think he's going to stop smoking pot. Just a hunch. And now it's time for... Awesome Vintage Ad Of The Day! Finally, there's snow face caps for the KKK and those who want to freak out the general public. 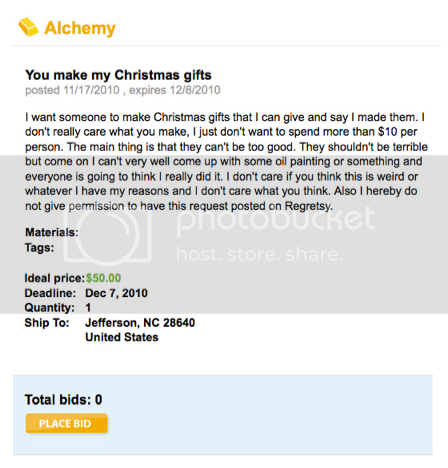 Let me get this straight... you want me to make you some mediocre handmade gifts that you can tell people you made? But they can't be so good that people won't believe you made them? I love how this guy specifically says he is not giving permission to have this request on regretsy. Oh yes I will be seeing Red Riding Hood. It looks AMAZING! And as far as Willie goes... come on. The man is the poster man/child for legalization. I say FREE WILLIE! Note to self.... maybe I DO have a future making crafts and selling them as mine would be mediocre at best! Do my children count as co-workers? If so, does discussing the color purple with my 3 year old count as our "pre-school moment" of the day? 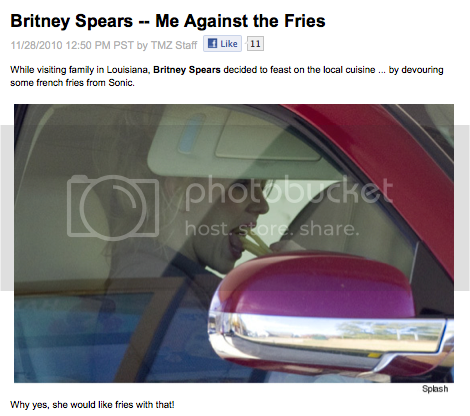 Now I want fries. Thanks a lot. I will try to work in the color purple into a discussion on the conference call I have this afternoon-I'll let you know how it goes? And, for Little Red Riding Hood-I said the same thing-Gary Oldman is totally the confirmation that I should see that movie! 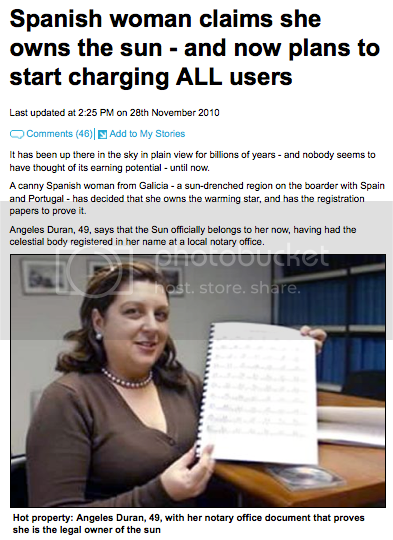 I can't wait to see how that crazy lady is going to charge people to use the sun. Idiot. I knew kkjordan should have thought of that first. OMG...those hats. Order enough for the whole family and go rob a bank. What? Every family needs quality time. As for the guy looking for gifts..Dude, at least you could have said please. Rude.